Born in 1962 in Tokyo. Gifted producer & DJ with a superb sense in Mixing and composing his sound who’s been greatly received in the international club scene. It was the movie “WILD STYLE” that got him into hip hop in the early 80’s, and in 1987, he formed KRUSH POSSSE which made numerous appearances in various media as the best hip hop act in Japan. KRUSH began pursuing his solo career after the break-up of the group in late 1991, and soon grabbed people’s attention as the first DJ to use turntables as live instruments, doing free sessions with live musicians on stage. Released his 1st album “KRUSH” in January 1994, and since then released countless records in Japan, Europe, US and around the globe. All his solo releases have ranked high in various charts in & out of Japan, and his 6th album “Zen” had been highly acclaimed and awarded the Best Electronica Album in 2002 AIFM Awards (US). His 8th album “jaku” released in late 2004 has topped the RPM chart of CMJ for 3 weeks in the US. In March 2006, he released his first best albums in self-remixed style, “STEPPING STONES” <lyricism> & <soundscapes>, making another huge buzz around the globe. In March 2007, a historical collection of the 12 years of his career ” Suimou Tsunenimasu” was released in Japan in a special DVD box. Aside from his outer national activities as producer, remixer and DJ, he constantly expands his field from soundtracks for films, TV dramas & commercials to live sessions with various musicians that transcends music genre. 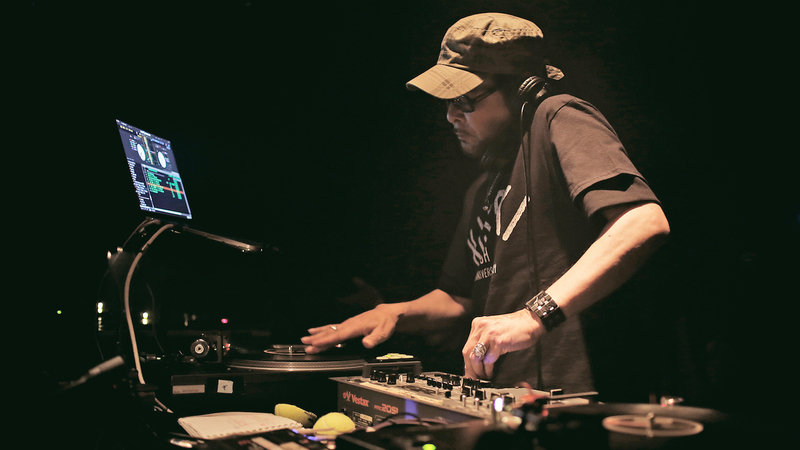 In ’98 spring, he formed a production unit <RYU> with DJ HIDE & DJ SAK, collaborating with Nigerian percussionists and releasing a single & album from Polydor Japan. From the end of the year 2000, he also got involved in <JAG> project which will be launching various projects to question worldwide issues in the 21st Century. Other remarkable activities include projects such as RYU, a producer unit he formed with DJs HIDE & SAK in 1998, doing innovative collaborations with cream of new artists from all over the globe such as African percussionists. At the end of the year 2000, he joined <JAG PROJECT> which was established to aim for the 21st Century, and provided a track for its first benefit compilation album “African JAG vol.1” released in 2005. And from 2009, he joined Bill Laswell’s latest project <METHOD OF DEFIANCE> along with artists such as Bernie Worrell and Toshinori Kondo. Following a show in Montreaux Jazz Festival, he also took part on its album “Incunabula” released in 2010. That Herbie Hancock also took part on this album.